Happy Monday everyone!!! I am really starting to feel like myself again!!! Soooooo ... 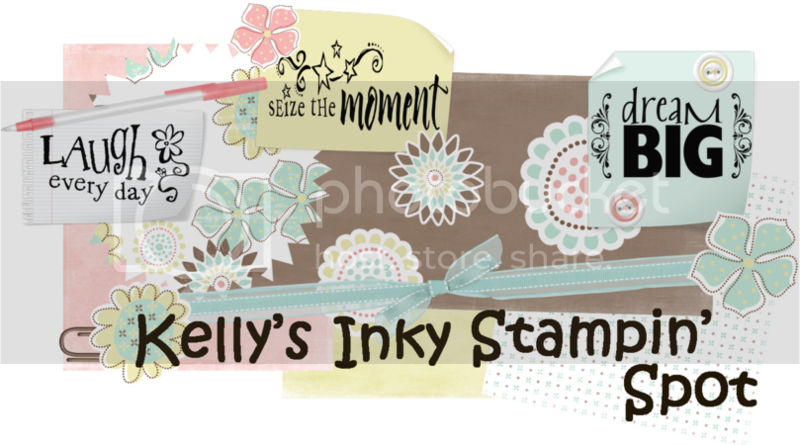 I thought I would do some stampin'!!! What a better way to get back into the swing of things then a Critter Challenge eh? Whoop Whoop!!! "This weeks challenge is to create a boy card or scrapbook page. The twist is it MUST contain glitter somewhere on your creation." Kelly, what a cute fun card! Thanks for playing along with the Critter Sketch Challenge blog! Very cute card for a boy! I love the LO of it too. Thanks for playing the Critter Sketch Challenge this week. I love those little critters. Great job and thanks for joining us at Critter Sketch! CUTE !!! I <3 Monsters. Those monsters are SO cute! Cute monsters and cuter card! Whooo hooo, super cute card!!! Thanks for playing with us girl. I had to make it big to see your glitter...wanted to make sure you weren't cheating...LOL!!! Super cute...love those monsters!! Too cute, I love the monsters! How cute I love those little monsters! Great card, I love those images!